KATHMANDU, April 16: The Office of the Auditor General (OAG) has said that the money invested by general public for Kathmandu-Hetauda Tunnel Highway is at risk. But the government appears heedless about protecting the public money. The OAG has said that the project awarded to Nepal Purbadhar Bikash Company Limited five years ago in public private partnership model has not started yet. "The Ministry of Physical Infrastructure and Transport is not monitoring the project though it has turned out to be a sick project," the OAG report says. 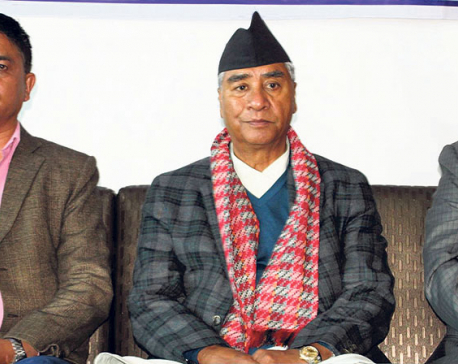 The company, established by business leaders including former president of Federation of Nepalese Chambers of Commerce and Industry (FNCCI) Kush Kumar Joshi and president of Non-Resident Nepali Association (NRNA) Bhawan Bhatta, had announced to build the project at the cost of Rs 34.88 billion. The company had also announced that it would complete the tunnel road, first of its kind in the country, within three years. But they failed to bring in foreign investments as they had promised. The company executives are charged with misusing the money collected from the public who were lured of high returns. Even poor farmers of Makawanpur and Kathmandu had purchased shares of the company. Individuals had purchased shares worth Rs 10,000 to Rs 100,000 each. There has been little progress in the project except for two groundbreaking ceremonies in 2014 and 2015. The company's directors have organized press meets in star hotels of Kathmandu. They have also organized trips abroad in the name of bringing in foreign investments, but all in vain. The works of total 807 roads and bridges awarded to various contractors have been left incomplete and the contracts have also become invalid, according to the Office of the Auditor General.The projects to build 338 bridges and 469 roads are worth a total of Rs 35.5 billion. Their contracts have also not been extended, nor have the government agencies taken action against those non-performing contractors. The OAG has said the implementing agencies have not prepared work plans or schedules of the projects, nor have they proceeded to recommend the Public Procurement Monitoring Office to blacklist them. Likewise, total 2,223 road projects and 830 bridges worth Rs 1,101 billion, which is almost the budget of Fiscal Year 2017/18, have been left incomplete. They are not monitored though their works remain abandoned, according to the OAG. In January, the Commission for the Investigation of Abuse of Authority (CIAA) had made public the list of chronic development projects, according to which 906 projects worth Rs 20 billion are left incomplete. As many as 1,848 development projects worth Rs 118 billion under 8 different ministries have not been completed on time. Contracts signed for 1,032 projects (55.84 percent) have not been extended through their valid contracts have been expired. The CIAA also concluded that a total of Rs 24 billion issued as mobilization amount to those contractors have been misused by the contractors.